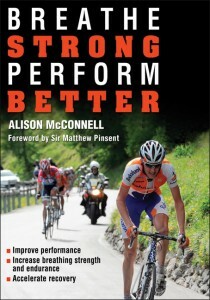 I just ran across a blog reviewing Breathe Strong, Perform Better by Alison McConnell. I’ve copied it here. As you can see it adds even more importance to why you should learn to breath properly. I’ve been teaching breathing exercises for three decades to help people learn to relax. Here is evidence that for athletes the techniques also helps performance. When you’re training you expect to work your muscles, your heart and lungs, even your mind. But breathing? That doesn’t seem to be one area that requires a whole lot of extra thought. Not so fast, says Alison McConnell, a professor of applied physiology at Brunel University, in London. 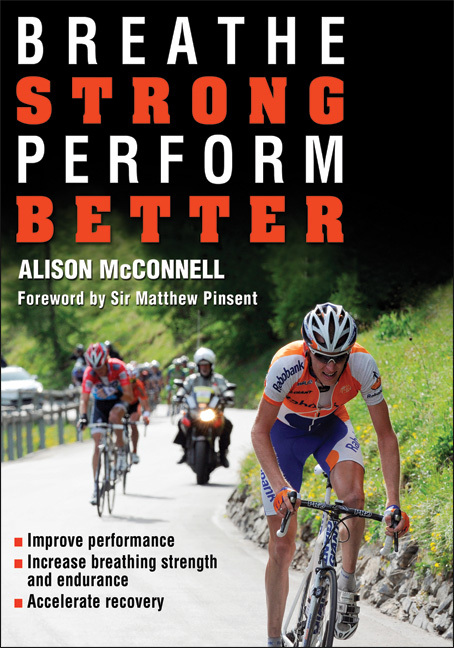 “Everyone thinks they know how to breathe during exercise, but unfortunately most people don’t do it very well,” says McConnell, who has extensively studied breathing muscle training and is the author of a new book, Breathe Strong, Perform Better. Most of the focus in our breath is on exhaling, pushing the air out of the lungs. But actually it’s the inhalation part—filling the lungs with oxygen—that plays the biggest role in both health and performance. “The majority of the work you do comes with breathing in,” explains McConnell, who has worked with Olympic and world champions in a variety of sports. “When you strengthen those muscles, exercise starts to feel easier.” Research shows that training the inspiratory muscles (the ones involved in inhalation, which includes the diaphragm, the deep abdominals, the muscles around the rib cage, and the pelvic muscles), can have a dramatic effect on performance, boosting speed endurance among sprinters by as much as 16% and helping world-class cyclists improve time-trial results by as much as 5%. It’s also been found to reduce stress and anxiety and help those with heart and lung diseases breathe easier, as well as lower high blood pressure.